If you have small children there is a good chance that they will want to go sledding this weekend. These are some safety tips from Patch.com. 20,000 emergency room visits take place each year around the country because of unsafe sledding. And an article in USA TODAY. Your child's safety is of great importance to all of us! 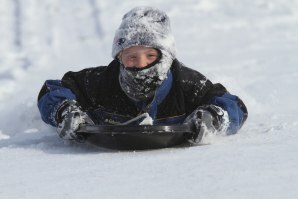 Children and teens on sleds account for at least 20,820 injuries in the United States each year, according to a first-ever analysis of U.S. emergency room reports.